Captain James Cook set sail on three voyages to the South Seas. His first Pacific voyage (1768-1771) was aboard the Endeavour and began on May 27, 1768. It had three aims; go to Tahiti to record the transit of Venus (when Venus passes between the earth and sun – June 3, 1769;) record natural history, led by 25-year-old Joseph Banks; and search for the Great South Land. We’ll look at three of these familiar names, here in the Islands, as well as the Pacific – Portlock, Bligh and Vancouver. Nathaniel Portlock was born in Norfolk, Virginia in about 1748. At about the age of 24, he entered the Royal Navy as an able seaman on the St Albans. On March 30, 1776, he served as master’s mate on Captain James Cook’s third Pacific voyage aboard the Discovery. Portlock was transferred to the Resolution, also on the expedition, in August 1779. That year, the two traveled to the North Pacific. Portlock commanded the 1785-1788 expedition from the ship King George, while Dixon captained the Queen Charlotte. The purpose of the expedition was to investigate the potential of the Alaskan fur trade and to resume Cook’s search for a Northwest Passage through the continent. The pair left England on August 29, 1785, and took nearly a year to reach Alaska, rounding Cape Horn and touching at Hawaiʻi on the way. During the course of their 3-year expedition, they made three trips to Hawaiʻi, first arriving off the coast of Kaʻū, May 24, 1786. Maunalua was thought to be well-populated in ancient times. Maunalua was known for its offshore fishing resources, a large fishpond, and sweet potato cultivation. Taro was farmed in wet areas, sweet potato was grown in the drier regions and a series of fishing villages lined the coast. (McElroy) Part of that area now carries the Portlock name. William Bligh was part of the Cook’s crew on its third voyage. 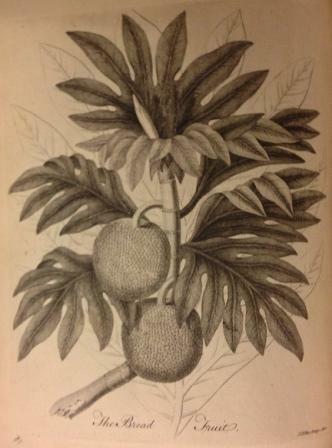 Bligh later captained the Bounty on a voyage to gather breadfruit trees from Tahiti and take them to Jamaica in the Caribbean. There, the trees would be planted to provide food for slaves. In the introduction to Captain George Vancouver’s journals of his voyage to the Pacific, his brother John wrote, “that from the age of thirteen, his whole life to the commencement of this expedition, (to the Pacific) has been devoted to constant employment in His Majesty’s naval service.” Vancouver was one of the seamen and midshipman who had travelled with Cook on his second and third voyages. In 1791, Vancouver later entered the Pacific a dozen years later in command of the second British exploring expedition. (HJH) Vancouver visited Hawaiʻi three times, in 1792, 1793 and 1794.